During my visit to Tahiti and her islands not a day went by without thinking that yes, this must be paradise. Big cliché, I know, but out all the places I’ve been to, Tahiti tops them all. So, for all you folks out there dreaming of paradise (and who isn’t? ), here’s my beginner’s guide to Tahiti & her islands, hoping to persuade you to explore these islands yourself. 1. Where in the world is Tahiti? Tahiti and her islands are part of French Polynesia, an overseas country of France (it is truly a country, not a territory). The islands are located in the South Pacific Ocean, halfway between California and Australia. The 118 islands and atoll are grouped into five archipelagos: the Society Islands, the Tuamotu Archipelago, the Gambier Islands, the Austral Islands and the Marquesas Islands. Tahiti is far from everywhere, but especially for Europeans it might be a challenge to get there. Count on a 22-hour flight from Paris to get to Tahiti’s capital Papeete. We flew with Air Tahiti Nui to Los Angeles International Airport-LAX (the gateway to French Polynesia) and then moved on to Faa’a airport in Papeete, Tahiti, the only international airport in French Polynesia. Keeping in mind we had to travel to Paris first and there’s always some time between connecting flights, we were almost two days on the road (and in the air). Since Tahiti is so far away, why not combine your trip to paradise with other destinations? From Los Angeles (US) to Tahiti it’s ‘only’ an 8-hours flight. You can fly to LA first and spent a couple of days relaxing and exploring the city before moving on. The same goes for Santiago du Chili (10 hours from Papeete) or Auckland in New Zealand (5 hours). 3. Where should I go? Since the international airport is located in capital Papeete, this is the island where your tropical dream begins. 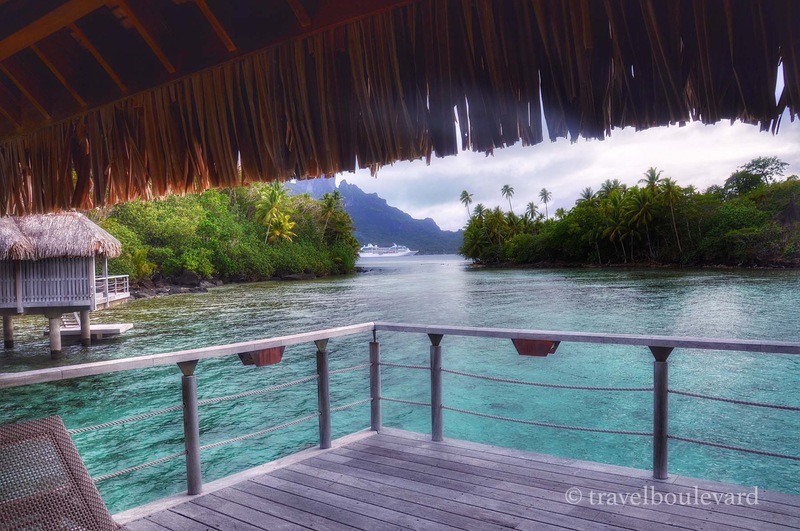 Don’t rush off to another island, there is plenty to do and see in Tahiti. Check out the Fautaua Waterfalls, the Museum of Tahiti and her Islands or Point Venus, the historic landing site of famous explorers like Captain Cook and Captain William Bligh. And you can always enjoy a cocktail by the pool and relax from your long trip. Place to stay? We arrived in Papeete on a Sunday morning and had booked a room at the Radisson Plaza Resort Tahiti. Lucky for us there was a yummy Sunday brunch waiting for us. The pool was fabulous as well. We skipped Moorea but I’m including this little sister of Tahiti because it’s an important island to visit for first time travelers. It’s situated only 17 kilometers from Tahiti and can easily be reached by ferry or by plane. This heart-shaped island was originally named called Aimeo but when a high priest had a vision of a yellow lizard, the name was changed to Moorea (the Tahitian name for yellow lizard). Today it is also known as ‘the Magical Island‘. Movies like Mutiny on the Bounty and Love Affair were filmed here. My view: Moorea in the distance. Place to stay? I didn’t have the opportunity to visit Moorea but I did have a lovely view on the island: picture is taken from my balcony when staying at Le Manava Suite Resort in Pateete. We stayed there on our last day in French Polynesia, just before flying back to Europe. Think: the world’s best romantic destination, situated in paradise. The perfect white-sand beaches with emerald waters, the colorful underwater world, the tropical surroundings, the luxurious overwater villa’s… No wonder Bora Bora is a popular playground for honeymooners and jet setters. Even James Cook referred to Bora Bora as the ‘pearl of the Pacific’. Bora Bora is surrounded by a lagoon and a barrier reef, with in the centre of the island the two peaks of Mount Pahia and Mount Otemanu (the remnants of an extinct volcano). You can reach Bora Bora by plane, it’s under an hour flight from Tahiti or Moorea. Place to stay? No shortage of romantic and idyllic retreats but the luxurious Conrad Bora Bora Nui Resort has something extra: the resort offers the ultimate private island escape with fabulous activities on Motu Tapu, the most photographed isle in the South Pacific. Place to stay? The Sofitel Bora Bora Marara Beach Resort was originally built by Italian filmmaker Dino de Laurentiis while filming Hurricane, the 1979 movie with Mia Farrow. After an 18 million dollar renovation the hotel reopened in 2007. It is now an upscale luxury resort & spa but the vintage photographs of the Hurricane cast and crew still remember the early days. #04. How do I get around? By air is the best (and sometimes the only possible) way to go island hopping in French Polynesia. Air Tahiti offers domestic flights (the domestic airline Air Tahiti, not to be confused with Air Tahiti Nui, the international carrier airline) operates 47 islands of French Polynesia. The airline offers special island hopping passes, making it possible to fly to the popular islands at an interesting rate. It is possible to go island hopping by ferry but the possibilities are more limited. Islands that are not too far distant from each other have a ferry service (like the Aremiti ferry between Tahiti and Moorea). Most of the time however you’ll have to hop with Air Tahiti, it’s faster and easier. Paul Gauguin Cruises: Departs from Papeete for an 8-day/7-night cruise to the Raiatea, Bora Bora, Moorea and Taha’a. It’s a deluxe 332-guest ship. Archipel Croisieres: sailing cruising aboard deluxe catamarans, accommodates 8 passengers. Aranui: The Aranui 3 offers aventure cruising on a mixed passenger/cargo vessel for 14 days Papeete to the Marquesas Islands and the Tuamotu Atolls. Dream Yacht Charter: custom luxury sailing cruises from 3 to 11 days throughout the Society Islands or the Tuamotu Atolls. #06. What are the things to do? Stay in an overwater bungalow. Most of them have a glass floor so you can enjoy the tropical fishes swimming below. And since you’re staying in the midst of a lagoon over the water, there’s plenty opportunity to go swimming and snorkeling. For the lovebirds: get married or renew your vows. An authentic Tahitian Wedding ceremony makes this special occasion even more unforgettable. #07. When should I go? May to October is the dry season and he best time to visit Tahiti, with temperatures around 27 °C (80°F) and sunshine all day long. During the rainy season from November to April it gets hotter, skies can be very cloudy and it may rain for days straight. We were in Tahiti at the end of November and as you can see in my pictures we had both sunny and cloudy skies and a bit of rain, nothing serious to spoil the fun. #08. What souvenirs should I buy? Vanilla. Foodies regard the Tahitian Vanilla as the best in the world. Visit a vanilla plantation and do your vanilla-shopping. Monoï oil. Made from coconut oil and the fragrant tiaré flower, this oil is a real beauty secret for a skin, hair and body. The Tahitian Pareo. Tahitian pareo’s come in a variety of vibrant colors and exotic patterns. They are hand painted or dyed and are great for wearing as a beach wrap over your bathing suit. There are different ways of tying a pareo, just ask in the shop how you should wear one. Black pearls. These organic gems formed from the black lip oyster are cultivated in the warm, salty water of the lagoons and are worn as necklaces, earrings or rings. You can buy them tax-free and it’s a unique souvenir with great value. 9. Is Tahiti really that expensive? Don’t get your hopes up: yes, it is. Food is the most expensive because (apart from fish, seafood and fruit) everything has to be shipped in or flown in from great distance. This is also the reason why the already expensive luxury resorts become even more expensive. Still, visiting Tahiti and her islands can be done on a budget. Look for special rates and packages. 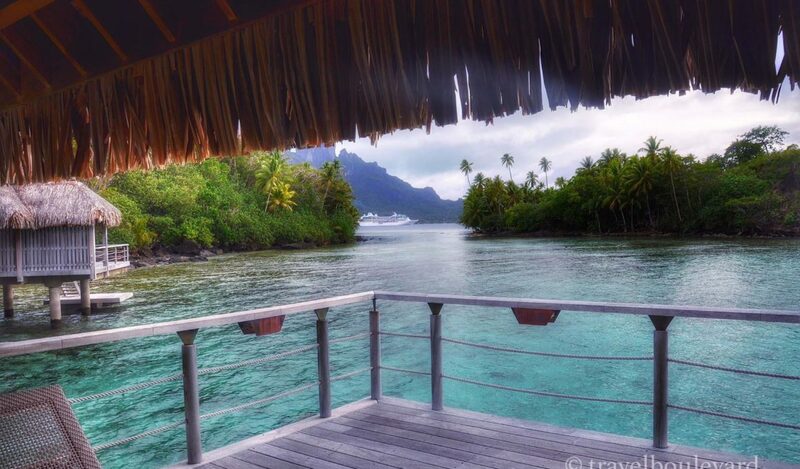 Resorts in Tahiti or Moorea will be cheaper than those on Bora Bora. You can also skip the resorts and stay at the smaller family pensions, they offer a great stay without cleaning out your credit card account. And remember: that amazing sunset will always be free! The official languages are both Tahitian and French but you’ll manage fine with English as well, especially in the resorts and the popular islands. For stays of 90 days or less you only need a valid passport. No visa required. The official currency is the French Pacific Franc (XPF). It is advisable to exchange money on arrival at the airport or in your resort, there are only a few ATM machines on the islands. No special vaccinations or certifications are needed to enter the country. There are no snakes, poisonous spiders or other dangerous animals to scare you. Just wear footwear on the reefs and around the lagoons to protect your feet. Also: be cautious of the tropical sun. Use sunscreen, even on cloudy days. Visit the Tahiti Tourism website for more information: www.tahiti-tourisme.be (Belgium) and www.tahiti-tourisme.com. This is a great article guys! I’ve never considered going to Tahiti but I’d love to visit. It looks beautiful and great to know you don’t need a visa there. Tx Samantha, happy you liked it! You are making Tahiti sound absolutely fantastic! I would love to be in one of those over-the-water bungalows with a glass floor. And I’m sure I’d come home with some vanilla and a pareo. Ow, the vanilla is fabulous!! I brought some with me just because the smell of it, it’s like a perfume. Tahiti, Bora Bora, Papeete just the names conjure up paradisical images! I’d sooo love to visit but the expense is just too much for us, a family of 4. I’ll just have to dream on for a while and armchair travel thanks to your great post! So gorgeous! I have always wanted to go there, someday I have got to make it. Wow, what a great beginners guide to Tahiti. I would love to go one day. It looks absolutely magical. Thanks for linking up to the #SundayTraveler! Tx for the visit Adelina! Oh, wow. That looks like paradise. A pain to get to – but it looks so worth it! And free champagne is always a winner for me :). Great photos :). Guys, I am getting seriously worried that your prefer French speaking countries & regions, over Croatian ones! Seriously, Tahiti, Morocco, Saint-Martin?! Just kidding. Great guide on Tahiti! And how about that free champagne they served on a plane! Another place on my bucket list (it keeps growing). Very cool post! Before reading this I thought about visiting Tahiti but now I do! I’d love to stay in an overwater bungalow :)! Tx Manouk! I never thought I’d ever have the chance to stay in an overwater bungalow, I thought I was dreaming when I finally did. 🙂 You should definable try it too! Sometime next year we’re going back to explore the lesser known islands, totally hooked!